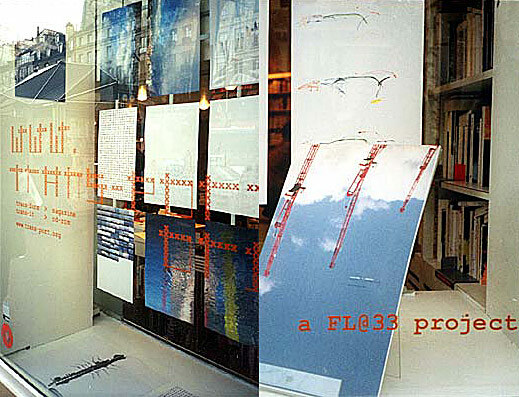 Paris-based La Hune bookshop was one of many stockists of FL@33's Trans-form magazine, beside London's Tate Modern and ICA and Colette and Centre Georges Pompidou museum shop in Paris, to name but a few. 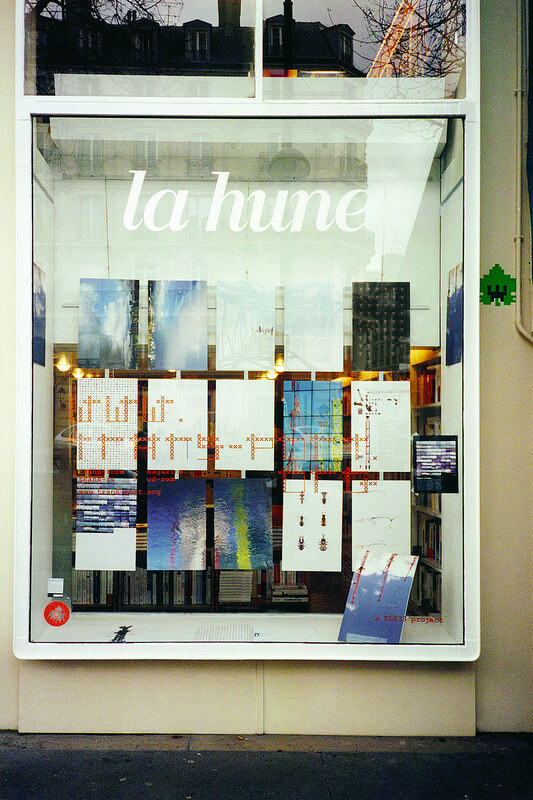 ___ La Hune sold quite a few issues and we were asked whether we would be happy to have an entire shop window area for our publication alone. We said yes of course – especially considering that we were in Paris very frequently for pleasure and business at the time. 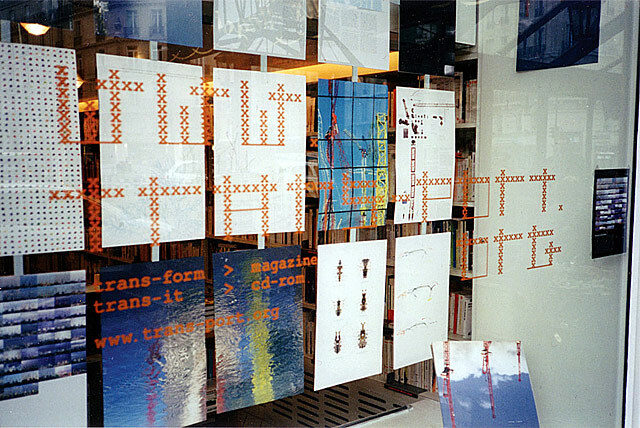 ___ La Hune's Trans-form shop front stayed there throughout March 2002.